It seems like not a month goes by that we don’t hear about a vehicle driving into a building. No one expects a car to come crashing into their home or into a restaurant, and many of these accidents are fatal. There are several factors that cause drivers to lose control and collide with buildings. One common cause is mixing up the gas and the brake pedals while parking. Distracted driving and speeding also account for a large number of these accidents. News 4 JAX reports that police are still trying to determine exactly what caused a tractor-trailer driver to crash into a seafood market last week. The market is generally busy, and customers line up in the front of the small store. Fortunately, no customers were there when the accident occurred. Robert Jones was the only occupant. He’d worked at the market for the past 30 years. Jones says he saw the truck coming toward the building with just enough time to jump out of its direct path. 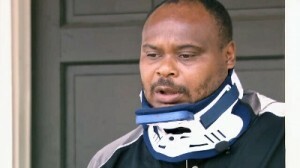 Even so, he suffered serious neck injuries. The driver, who was in a Coca-Cola tractor-trailer, crashed into the building at such a high speed that the store was condemned. He told police that a wasp in the cab caused him to lose concentration; however, investigators noticed that both of his windows were rolled up, suggesting that he wasn’t being honest about the wasp. Police cited the motorist for careless driving. Now, Jones is out of the job and trying his best to focus on his recovery. He says that he has spoken to an accident lawyer about filing a lawsuit. If you are looking for an experienced accident lawyer in Miami, call us! At Wolfson Law Firm, LLP, we’ve been representing negligent-driving victims during personal-injury lawsuits since 1963. You can count on us to work hard to reach a favorable outcome to your lawsuit. To speak with an accident lawyer about your truck accident, please call us at 305-285-1115. The Independent Florida Alligator reports that a truck accident last week claimed the life of a college student who was currently in her junior year. Police say that five students were riding in an SUV on the highway when a tractor-trailer driver merged quickly into their lane. The driver of the SUV swerved to avoid an accident and rolled the vehicle into oncoming traffic. Four of the students escaped the flipped vehicle, but Emily Aultman wasn’t able to escape before a second truck collided with it. She died at the scene. If you’ve been seriously injured in a negligent-driving accident, let us help you file a personal-injury claim. At Wolfson Law Firm, LLP in Miami, we are committed to offering sound legal advice at every step of the lawsuit process, and you can count on us to work tirelessly to achieve an outcome that is in your favor. To speak with an accident lawyer about your injuries, call us at 305-285-1115.